When a relationship ends badly, many will search for answers and painstakingly dig for a reason it happened. But after the tears have been cried and we can really look back at that failed relationship with a clear head, it’s easier to understand that the red flags were probably there all along but were either ignored or justified, which never leads to anything good. 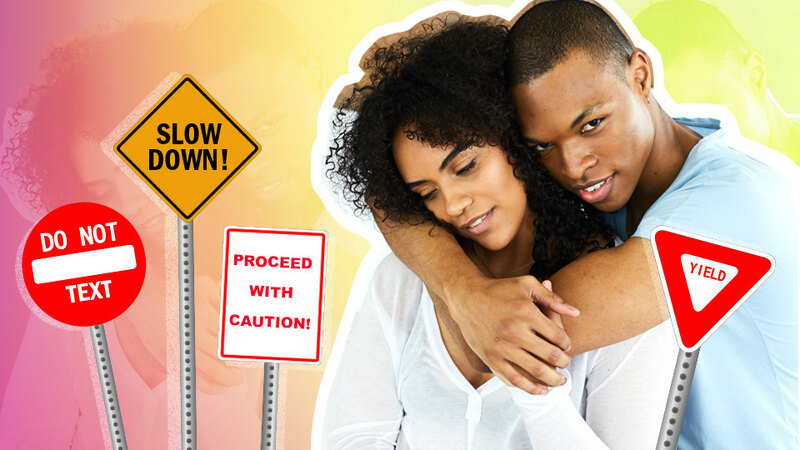 So, if you are noticing any of these sometimes subtle yet important red flags in your relationship, it may be time to get out now. When looking for love, it’s very appealing when you see at least one “very” in your partner. For example, they’re very smart, or very hardworking or very supportive, etc. “Although finding one very in your partner is very good, when you spot a ‘two-very’ aspect in someone, this can be a very big red flag,” explains Salmansohn. “Like, your partner is ‘very, very’ extravagantly generous with spending money on you — this might be a sign that they are ‘very, very’ eager to try to buy your love.” Anytime someone is very, very extreme in something, they are not operating from a place of true inner balance and might have some emotional issues or lack of strong character. Has your new partner ever been in a serious committed relationship before or is their longest relationship three months? Professional matchmaker and founder of Wise Matchmaking Brooke Wise says these are some questions to consider. “This could be a red flag. It doesn’t mean that his/her first serious relationship can’t be their wife or husband, but the odds are not in your favor.” Especially if your new partner is in their late 30s or 40s. Of course, there are legit reasons they may not have been in a serious relationship. For example, they traveled or lived overseas for a long time. If that’s not the case, they could just be a forever bachelor or bachelorette. Being friends with an ex is completely fine. But sometimes, it’s a sign that they’re not ready for a new relationship. So, what do you look for? Well, it’s not about how much they communicate with their ex, it’s how they communicate. “If he/she fights with them, becomes obsessed with the back and forth, can’t seem to stop texting nasty messages, and goes on and on about what a crazy, nasty, selfish [expletive] they are, it might be less about the ex and more about your partner,” says Laurel House, a dating and relationship expert. This can be a huge red flag because they clearly haven’t fully moved on. If your new partner doesn’t open up about their past, refuses to go deep and talk about real things, they may fear or avoid intimacy. “He/she may not be ready or willing to open their heart. He/she may still be hurting from a relationship in the past or may not have done the work to move on from their last love,” says House. This is a red flag because if they can’t open their heart, they won’t stick around. Especially those in the service industry, like servers, the valet, etc. “This could be a warning sign that this lack of manners or respect isn’t an isolated issue,” says Wise. They might have an ideal that they’re entitled or superior, and in time, this attitude may transmit onto you, your family and your friends, so make sure you’re paying attention to how they interact with others.